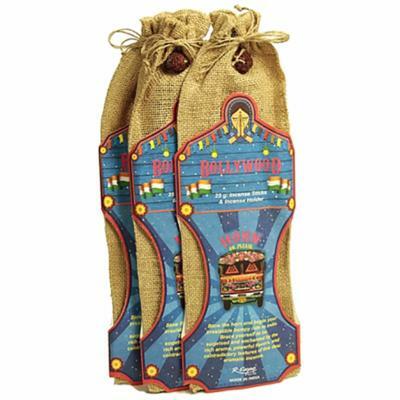 25 g. incense sticks, and wooden incense holder, packaged in a jute bag. 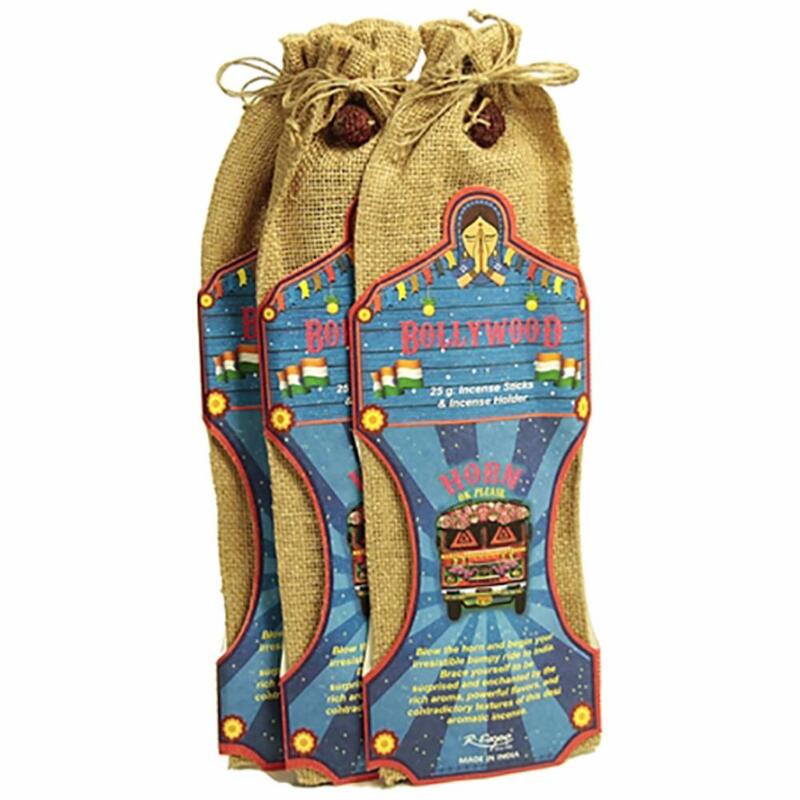 The "Great Indian Incense" is prepared with pure sandalwood powder, aromatic roots, resins, herbs and natural essential oils. "Blow the horn and begin your irresistible bumpy ride to India. Brace yourself to be surprised and enchanted by the rich aroma, powerful flavours, and contradictory textures of this desi aromatic incense."